This week Jeeg takes CT and Pax back into the wacky world of infomercial and catalog products. Join the nerds as they use all their powers of deduction to determine if the others would buy gimmick coffee mugs, kitschy microwave cleaners, toilet decals, and more. As a bonus, the Nerd Lunch Captain America: Civil War mini-review is also included in this episode. 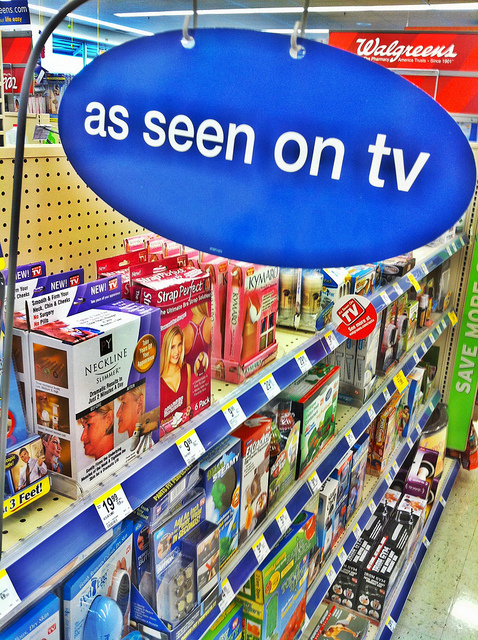 As seen on TV in Walgreen's photo by M C Morgan.